Battle experience strengthens not only the combat prowess of both mount and rider, but also heartens the bond between them. 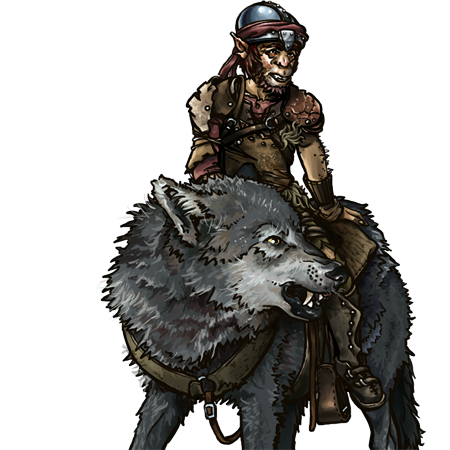 While a human knight may ride different steeds into battle, a ‘goblin knight’ refers to goblin and wolf together as a single unit, fiercely loyal to one another almost to a fault. Among orcs, the riders are treated as a class above goblins, even when separated from their mount. Orcish grunts, while feeling themselves superior to goblins, recognize that picking a fight with the rider is also picking a fight with jaws that strike faster than a sword, and almost as hard. Last updated on Sat Apr 13 00:39:03 2019.